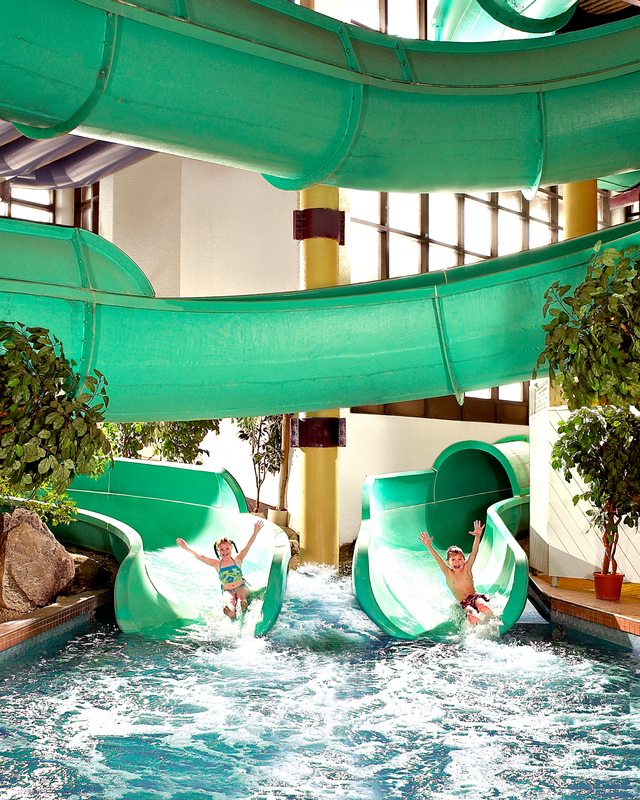 Make family memories at Calgary's largest Indoor Hotel Water Park - Oasis River Country! Featuring Two 250 Foot Water Slides, a Large Main Pool, a Kiddie Pool, Whirlpools and a relaxing hot tub. Once you've worked up an appetite, head over to the Splash! Snack Bar, overlooking the water park deck. You'll love our nachos, burgers and more!